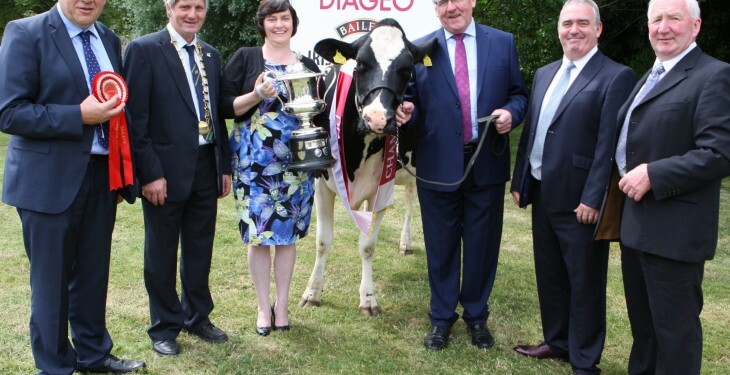 A cash prize of €10,000 is up for grabs at the 2015 Diageo Baileys Irish Champion Cow Competition which is now open for entries. 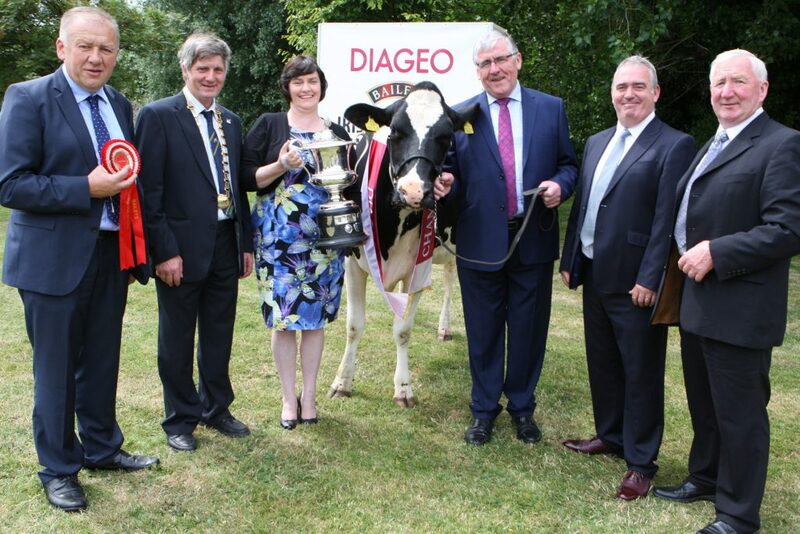 The competition is open to dairy breeders across Ireland and the competition is sponsored by Diageo in conjunction with its cream supplier Glanbia Ingredients Ireland. The competition was recently launched by Minister Tom Hayes at the Baileys Irish Cream factory in Dublin. 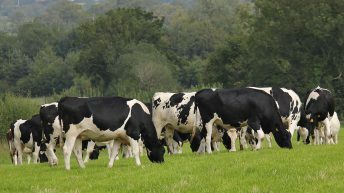 The finale is expected to attract top Holstein Friesian dairy breeders across the country when it takes place at the Virginia Show in Co. Cavan on Wednesday, August 19, organisers say. In addition to the top prize, €1,000 will be awarded to the breeder of the Reserve Champion and €500 for Honourable Mention, Diageo says. There is also a Best Heifer in Milk prize fund of €1,700. First place attracts a prize of €500, second place will be awarded €300, and €200 will go to third place; whilst €100 will be awarded to entrants from fourth to tenth place inclusively, organisers say. Trophies will also be presented for Highest Protein Content, Best EBI and Best Exhibitor-Bred Cow and there is a Dry Cow fund of €500. The special awards for Best Protein and EBI emphasise important factors in milk production, Diageo says. Minister Hayes said that he is aware that Diageo and Glanbia Ingredients Ireland are making great progress in the area of sustainability, helping to boost the credentials of the Baileys brand by reducing the carbon footprint and at the same time improving productivity. “This is in line with our strategy to produce quality, safe, nutritious foods and products in an environmentally sustainable manner while at the same time delivering economic growth in rural areas,” he said. Diageo Ireland Head of Corporate and Trade Communications Hazel Chu said that at the heart of this long-standing competition is the success of its supply-chain partnership with Glanbia and the hundreds of dairy farms that supply the cream for Baileys. The competition’s Director Brendan Smyth said “he was looking forward to the finest display of Holstein Friesian cows in Ireland”. 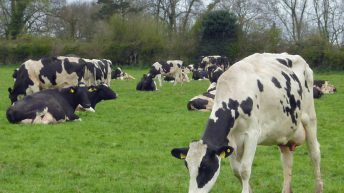 What does it actually cost to rear a dairy heifer and when will she pay you back?